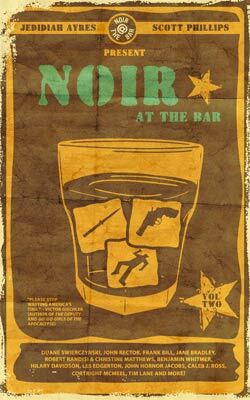 My short story, “Untitled Stephenie Meyer Novel” (originally published in the Oprah Read This project) has found a new home in Noir at the Bar Vol. 2, an anthology available in paperback exclusively from Subterranean Books. “Stephenie” is a newly-revised version of my disturbing little tale about the aphrodisiac qualities of unreleased Twilight material in the hands of the opportunistic. The first Noir at the Bar volume was one of the year’s best-selling books in St. Louis, as well as a Spinetingler award-winner for best cover, so when I was invited to take part in the live-reading series of its namesake last winter, I of course hopped the first thing smokin’ and doused myself in alcohol for the occasion. Here’s a recap of the event. Booked podcast reviews the anthology in Episode 109. Also see their previous three episodes for interviews with the linked authors above. As always, here’s where you can find all my published short stories.